The event should be organized with the correct system to satisfy the participants. Use a event cashless RFID software payment provider. Launched as a rewards platform in 2012, Pouch has evolved into a cashless payment and event management system. It introduced NFC (near field communication) wristbands that are becoming popular among event organizers. Instead of a normal ticket, guests are given wristbands, which event staff can scan. 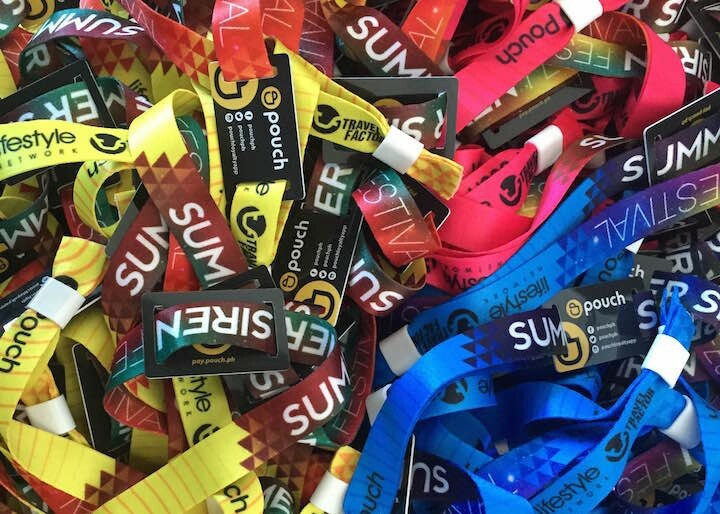 “Our wristbands solve many event pain points: security, theft, fraud, event flow and control for an overall improved experience for event organizers and easy transaction by guests,” Pouch co-founder and CTO David Rapaport says. The wristbands are ideal for crowded events such as concerts, sports events, exhibitions, and fairs. Instead of a normal ticket, guests are given wristbands, which event staff scan and verify using smartphones or tablets for quicker entry and shorter lines at the gates. The bands also help event organizers stem the sale of counterfeit passes. Inside the venue, guests pay for goods using the wristbands, getting rid of the need to carry cash. That minimizes the risk of getting pickpocketed. Merchants are assured that no fraud takes place during transactions because everything’s recorded. Pouch co-founder and CEO Ilya Kravtsov explains how the whole thing works: “When the customer arrives at the event, he uses the NFC wristband to get in rather than a paper ticket. Inside the event, instead of paying cash or credit card, he pays using the NFC wristband. On the other hand, each merchant inside the event doesn’t need a terminal but just a simple NFC phone with the Pouch app installed on it to accept the payment. No internet connection is required.” Guests can top up the wristbands upon purchase online, using their credit cards or by paying through bank deposits. They may top up at reloading booths on site, which accept both cash and credit card payments. Pouch wristbands for the Summer Siren event. The concept of paying using wristbands already exists in markets like the US and Europe. The popular Lollapalooza is one event that made use of them. But the idea is still new to Southeast Asia. Pouch aims to pioneer this in the region, and key in making this happen is the support of investors. In June last year, the company raised nearly US$520,000 in seed funding from Malaysia’s Captii Ventures. Pouch is about to close another round of funding this year. The company has overshot the targets it earlier set with Captii after handling several live events, including Chris Brown’s and Lifehouse’s concerts in Manila. It also bagged the Kanye West-headlined Paradise International Music Festival that’s gonna happen in the Philippines on April 9 with 30,000 attendees. The startup is registered in Singapore but operates out of the Philippines. Its wristbands have been used at over 25 events in five different countries (Philippines, Indonesia, Malaysia, Singapore, and the UK) and has sold over 150,000 wristbands. The concert goers have spent over US$1 million using those wristbands. Pouch CMO Graeme Perkins says Pouch is in talks with US and Europe-based groups that want to license its tech. Citing a study by Frost & Sullivan, Graeme tells Tech in Asia the event management software industry’s total addressable market as of 2015 stood at US$30.5 billion, and it’s expected to grow to US$31.9 billion this year. “Not one company controls 12 percent of that market,” he says.